Depending on the type of key or transponder used, SR Key Solutions may able to make a direct copy of your coded car key. This type of car key replacement is produced utilising sophisticated equipment to copy the code onto a new transponder chip. Most new cars however, use an encrypted chip which cannot be copied. In this instance we are able to produce a new key and code it directly to your vehicle using diagnostic tools. If you are considering buying or have just bought a new car that was sold with just one key, what would you do if you lost that key? Also, have you ever considered that most cars have more than one key programmed into the immobiliser so who has the other keys? Call us now to arrange for us to visit you and reprogram the system to remove these missing keys. If you only have one key for your vehicle it makes good sense to contact us now and have us produce spare car keys. 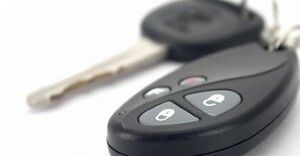 Using sophisticated computerised machinery we are able to copy car keys for most vehicles. Duplicate car keys are much easier and cost effective to produce. So don’t wait until you lose all of your car keys. We are able to produce new keys even if you have lost your main master key!